Managing Editor, Elizabeth Atalay, Senior and World Voice Editor, Purnima Ramakrishnan, and Founder, Jennifer Burden on a video call to kick off the new season! Getting back into the swing of things last week all started with Purnima in India posting to our editors’ group on Facebook: “Are we starting our posting schedule today?”, and then we all started scrambling into position from around the globe! 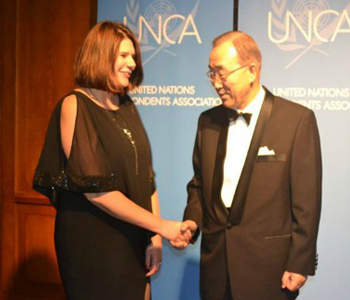 Elizabeth Atalay in the USA began organizing the schedule and surveying what had been written in the queue. She called me on the phone later in the week, and we agreed to organize our first Senior Editors meeting of the year. Kirsten was on jury duty in Canada, so we’d have to wait another week for her input. We agreed to meet on Wednesday morning. It was like getting all the Super Heros together! I chose 9:15am because it’s early enough in Purnima’s evening in India for her to attend, and it would give me enough time to get the kids on the bus, and then be back in time to fire up my computer with my cup of tea. However, one of my daughters slept in this morning, and I had to give her the full on mom physical — feel her head, take her temp, ask her questions — to see if she was ok to go to school. She was. So, after getting one kid on the bus, I had enough time to pack the other kid up, and drive her to school. So, not the calm stroll from the bus stop onto the video call that I envisioned! I messaged Purnima to let her know I’d be running late. Once on the call, Purnima’s internet in India kept cutting out on us. It also took us both awhile to tinker and find the right mic and volume settings on each side. We FINALLY got it all going, and then out of the blue my husband comes running down the stairs and says in a panic, “I need a ride to the bus stop! I’m not going to make it, if I have to park! Sorry, I received a call I had to take a few minutes ago! Can you take me?” He had been working in the office upstairs, but needed to head to NYC for a meeting. So, I then had to end the video call. Yep. And I had to tell Purnima I’d call her when I got back from driving my husband to the bus. I head back into the house, and before you know it, I’ve got both, Purnima and Elizabeth on the video call. Success! Later, we share what we discussed in our editors’ group, and Senior Editor, Kirsten Doyle in Canada, got to add on to what we were building. 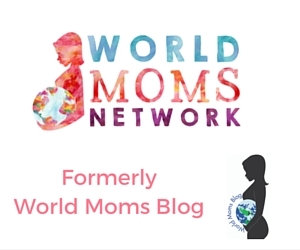 This about explains what it’s like behind the scenes, here, at World Moms Network. Did you expect something else? We pull it all together. We always do. We’re the #WorldMoms. So, this is a note to let you know how grateful we are that you stop by here to read. We’re not in a big office building churning out editorials. We’re out and about around the globe, on the ground, and enthusiastic about making this work into our day. It really means a lot to us that you’re reading! Tes Solomon will also be attending a high level United Nations Summit on the Sustainable Development Goals, too! We are covering a lot of bases, and can’t wait to keep you posted on what we learn. Make sure you keep up with our Instagram, Twitter, and Facebook feeds September 21st-24th! Drop us a line in the comments and let us know what you’d like to hear more about from us in the year to come! We’d love to hear from you. And…Welcome Back! Ha! I love the transparency of behind the scenes. Excited to have you back. So good to have you back ! Been missing you all. But the vacation was needed.